The knight gets paid in stock options. Urban Fantasy, also sometimes called "Modern Fantasy", is a genre that combines common Fantasy conventions with a modern setting The name "Urban Fantasy" is sometimes taken to imply that all works in the genre must take place in a large city, but this is not the case. Rather the name implies throwing fantasy elements into our urban society. Still, it's very common for Urban Fantasy stories to take place in a large, well-known city, all the easier for their fantasy elements to hide themselves in. As a genre, Urban Fantasy is sometimes seen as more accessible to the average reader than the Medieval European Fantasy due to the Like Reality Unless Noted nature of it, and the fact that modern settings are familiar to readers whereas the medieval era is something that modern readers may have trouble relating to. The exact cut off date for what falls under Urban Fantasy is fuzzy, as the works which most commonly get this label applied to them feature settings in the present day, but works taking place as far back as the Victorian Era are generally included. Works taking place more than ten to twenty years in the future however, are not. Urban Fantasies almost always take place on Earth, rather than a Constructed World, or if not on Earth than in a place so close as to make little difference. Alternate History is common, incorporating Fantasy elements into real historical events, with humans living alongside magic, though if this isn't done there is usually a Masquerade, implying that witches, elves and fairies live along side us, just in hiding. In such stories, The Unmasqued World is a common plotline. Another common convention used in Urban Fantasy is to suggest that at one point the world resembled a Medieval European Fantasy but The Magic Goes Away, and in the present The Magic Comes Back and now humans have to adjust to it. Urban Fantasy often crosses paths with a number of genres, including Alternate History, Dungeon Punk, Gothic Punk, Horror, Magical Realism, Paranormal Romance, Paranormal Investigation, Supernatural Fiction and Supernatural Thriller. Sometimes it's difficult to tell whether a work qualifies, but generally speaking Urban Fantasy is known for showing the impact of modern society on the fantasy elements included in it. Elves carry guns, witches use microwaves and Leprechauns work at the bank. It takes more than tossing in the odd Vampire solely for the fear-factor to truly apply. Gaslamp Fantasy, Supernatural Soap Opera and Historical Fantasy are notable sub genres. Urban Fantasy is itself a subgenre of Speculative Fiction, specifically Fantasy. Most of the Vampire Fiction published in recent times also fall under this genre, where in the past it followed the conventions of Horror. 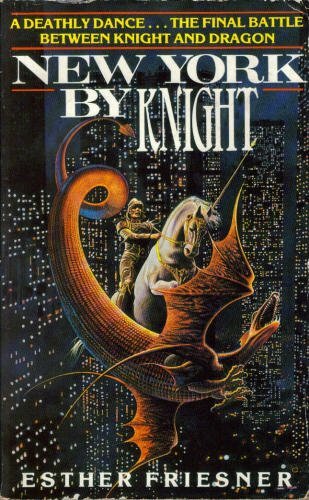 Urban Fantasy is often considered the fantasy equivalent of Urban Sci Fi. If you want to know how to write and Urban Fantasy, please visit the Write an Urban Fantasy page. If you want to see a list of common tropes of this genre, see Urban Fantasy Tropes. Baccano!, though less than the light novel. Bakemonogatari: it tends to feel more like a Ghost Story, but takes place in an All Myths Are True Urban Fantasy setting. One character is even haunted by a god (who are apparently really bad at telling individuals apart). The Breaker: Although it's technically an urban Wuxia Manhwa, it sometimes gives off this feeling. Naturally, any (or most) fic for anything else on this page. D 20 Modern: Specifically the Urban Arcana setting. Feng Shui: Specifically supernatural adventures in the Contemporary juncture. Sonic the Hedgehog Though the anime seemed to suggest that their world is parallel to the 'real' world. Homestuck, at least at the beginning. The Legend of Korra, a rare alternate-reality version, with a Far East Culture Chop Suey setting combining Steampunk/Dieselpunk, and The Roaring Twenties, where Supernatural Martial Arts and Mix and Match critters are just as normal as the newly-invented car. ↑ That is to say, a setting which is significantly more advanced than the Medieval European Fantasy popularized by Tolkien. Around the Enlightenment or Industrial Revolution is sometimes considered the absolute earliest an Urban Fantasy could take place, though it may depend on portrayal. This page was last edited on 12 September 2018, at 16:08.